What Effect Does Google’s Panda Update have On Your Website? Here’s What You Must Know! Google tends to update their search algorithms, and the Panda update is one of the most popular updates that you should be aware of if you are dealing with search engine optimization for your business website. When the Panda update was introduced in the USA, it did create a lot of havoc and confusion. Now, the question is what exactly does Google Panda do? When it comes to understanding Google Panda, you will find that this update is one of the most important updates that fight spam. It was launched in February 2011, and it is today a part of the core ranking algorithms of Google. It is an algorithm that gives websites an overall core ranking signal and so if you are a business owner, it is essential for you to take the quality of your site into account and ensure that it is ranked as per the updated specifications. When Google Panda was released, many webmasters were caught by surprise as the search engine giant prefers to remain quiet about its updates most of the time. However, when the Panda algorithm was announced, Google was very open and transparent as it shared a lot of search engine optimization information that most people were not even aware of. The primary objective of Google Panda was to improve the quality content of websites. It urged webmasters to improve the content that was being published. It preferred content that was informative and useful to the web audience. When it comes to the Google Panda update, its primary focus is on content and not about website links or even how friendly the website is. The Google Panda update also does not focus on you having an HTTPS site. This algorithm is very specific, and it focuses on you having content that is high in quality. It does not give significance to content that is not good or is spam by nature. If you are a business owner or a webmaster, it is crucial for you to be notified of content. There are several misconceptions and mistakes that businesses and webmasters commit when it comes to the Google Panda algorithm. Even expert search engine optimization professionals are confused. If you are a business owner, ensure that you have expert and credible SEO companies managing your business website. Internet and SEO experts like referencement web quebec state that Google Panda affected many websites. They say that when Google experts analyze the content of the site, they remove it if it does not fit their quality standards. Now, once this content is removed, there is no magic formula for you to recover it back. To check your website, it is imperative for you to check each web page. This will help you determine what its value is and whether you should work on its quality or not. There are tools available online to determine whether the quality of your content is good or bad. You can use Google Analytics and Google Search Console for the above. When Google is ranking your website and sending traffic, it needs quality to rank it. Therefore, it is crucial for you always to be careful when you are checking pages. Like for instance, you might make the mistake of removing pages because they are old and fall below the magical word count. This places you at risk as Google might not send traffic to that page shortly. Now, if you wish to remove content, verify and check that Google is not sending traffic to those pages and do not aggravate the issue by working on the Panda update to lose more traffic. Now, many webmasters check the Google Search Console and find they have used keywords that are not relevant and funny in the past. When you are creating content, it is usually expected that you would want a specific number of people to visit that website. The web page should bring the desired expectation that you have to improve web conversions. Last but not the least, when you are dealing with Google Panda and other updates like Penguin and Hummingbird, it is vital for you to rely on expert and credible companies that have good repute in the field of search engine optimization. Ensure that you speak to experts who have proven track records before you hand over the responsibility of your business website to them. With the aid of experienced SEO experts, you can get the peace of mind you deserve and focus on the other core matters of the business without hassles at all! 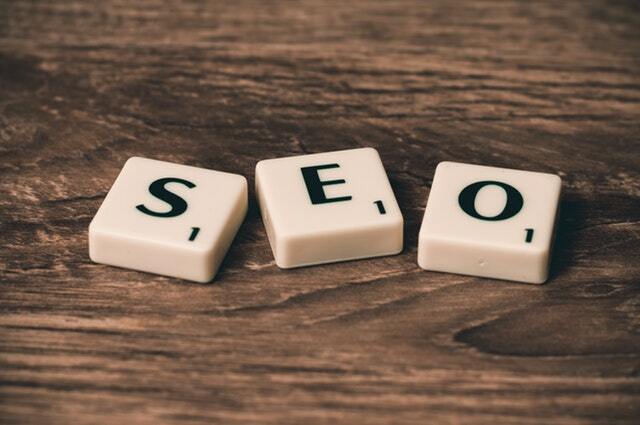 Guest article written by: Doreen Gray is an experienced SEO expert withReference Web Quebecwho helps companies understand the impact of search engine optimization updates for their business websites and growth.